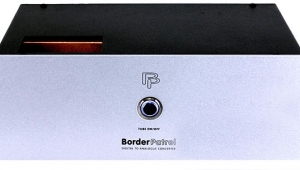 Since its raison d'être is the ability to throughput virtually any music file at its native sampling rate, the DP-777's performance can only be gauged with a media player that itself adapts to such distinctions, preferably on the fly; thus iTunes would suit only the user who's willing to check each file ahead of time, exit iTunes altogether, manually change the file type in the Apple Audio MIDI Setup utility, then relaunch iTunes. And that is so not me. Luckily, I already own Decibel v.1.0.2, a program that plays any and every file size, natively and on the flyand that's what I used, for the most part. The folks at AMR were okay with that, but they recommended that I also download and try a media player called Audirvana. I've given it a whirl, and so far I'm impressedbut all of the listening impressions that follow are based on my experiences with Decibel. Given that the DP-777 itself presents so many user-selectable performance options, the addition of yet one more variableone more unknownwas more than I could reasonably handle within the review period. Using the DP-777's remote handset, I found it was easy to select from the various sampling rates, filters, and jitter-reduction settings on tapor to simply trust the processor to make the best decisions for me. For the vast majority of my listening I chose the latter route, which required me to press just two buttons: Zero-Jitter Mode and AMR, the latter the DP-777's equivalent of autopilot. 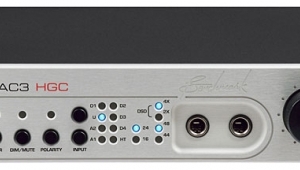 During use, the sampling rates, etc., of all music files (and S/PDIF sources, for that matter) were displayed on the DP-777's front panel, and all were reported accurately. 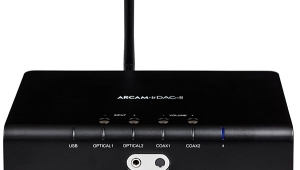 I experienced only one performance glitch during the review period: On a morning occasioned by an unusual amount of switching among different media players, the DP-777 apparently ceased to inform my computer of its presence. According to the computer's System Preferences window, it couldn't find the AMR at all. Rebooting had no effect; surprisingly enough, simply unplugging the USB cable to the AMR for a second and plugging it back in did the trick. The DP-777 became slightly warm to the touch during normal use. Nevertheless, I kept to the manufacturer's recommendation and left the AMR powered up at all times. Someone had put a few miles on my review sample before I received it, so I can't say how much running-in a brand-new DP-777 might require before sounding its best. I can say, however, that from Day One the AMR produced some of the least fatiguing, most involving, and altogether best-sounding digital playback I've had in my home. In much the same sense that EMT's extraordinary OFD 65 phono pickup made me wish I had twice as many 78rpm records in my collection, the AMR processor made me wish for double the number of music files on my hard drive. 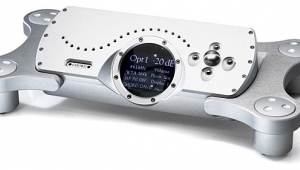 At times during the DP-777's stay in my home, its sound quality was nothing less than revelatory. While listening to a bog-standard CD copy of a much-loved bootleg, Procol Harum's Delicado (which found the band performing with the Los Angeles Symphony Orchestra on a good night in 1973), the clarity and the level of nuance and detail were beyond anything I'd experienced from the disc. A clarinet obbligato during the verses of "Fires Which Burnt Brightly"; the counterpoint supplied by the flutes in the final verse of "TV Caesar"; and guitarist Mick Grabham's glorious final note in the closing "Rule, Britannia" were all stunningly present. "My Little Shirtwaist Fire," from Rasputina's Thanks for the Ether (ripped from CD, Columbia CK 67504), didn't just sound more tactile: It was bigger and deeper, and the melody just plain moved, uncoiling like a spring from start to finish. And that's not to mention the texture and tone of the cellos, and the near-physicality of singer Melora Creager's exaggerated vibrato, all of which were stunning. Orchestral music sounded especially grand through the AMR. Friedemann Layer and the Mannheim National Theaters Orchestra's live recording of Bruckner's Symphony 9 with a completion of the unfinished Finale (footnote ,1 ripped from CD, Deutschlandradio Kultur, no catalog number) was magnificent, with even more of the tension-and-release effect noted in the Rasputina track: The music moved forward humanly and, at times, unpredictably. 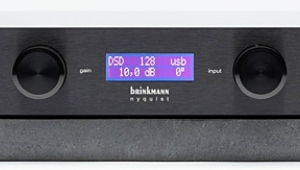 The pleasantly brisk second theme of the first movement had far greater temporal energy through the AMR than through my reference converter, a Wavelength Proton USB DAC. Woodwinds and brass popped out of the thick orchestration in much the same manner I'm used to hearing live. String tone was luscious. And the intensity of the timpani was brilliant throughout. As my notes read: And this is digital?! Good grief! Playback of high-resolution downloads was similarly impressive. Elton John's "First Episode at Hienton," from the HDtracks download of John's eponymous first US album, was smoothbut, again, not plasticky-smooth: There was still a good texture in the voice, strings, and Caleb Quaye's subtle, Leslie-amplified guitar, and the track maintained a human, organic feel overall. The sheer openness with which the AMR played the recent 96kHz version of George Harrison's All Things Must Pass was also impressive. Even "Run of the Mill"the worst-sounding track on the album, for some strange reasonsounded less edgy, less congested, more open, and altogether more human through the AMR than through any other DAC at my disposal. 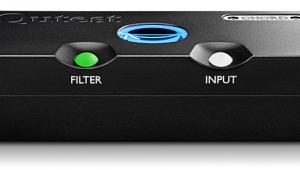 I did try the AMR's S/PDIF input, and was pleasantly surprised by the results. 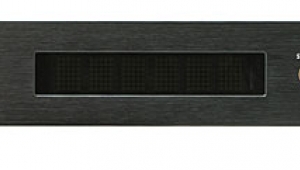 Driven from the transport of my Sony SCD-777, the DP-777 sounded distinctly warmer and more detailed than any of the Sony's filters, with greater musical nuance. The rich sound of Doc Watson's flat-picked guitar throughout the Nitty Gritty Dirt Band's Will the Circle Be Unbroken (CD, Capitol 5 35148 2) provided ample evidence of the latter, as did Dietrich Fischer-Dieskau's historic recording (with Gerald Moore) of Schubert's Die schöne Müllerin (CD, EMI 66959 2). With music of every sort, it seemed, the AMR provided more of a sense of touch, more momentum, more involvement than other converters. I could probably design my own loudspeaker if I had to, and I might even be able to sketch, on the cocktail napkin of your choice, a schematic for a simple tube amplifier capable of producing an audio-frequency signal (especially 60Hz). But I couldn't design a digital player or processor if my life depended on itnot even if you gave me a year to do it and a free trip to engineering school. That's just crazy. But if I could do such a thing, all the while bearing in mind the enduring limitations of most digital recordings in circulation, it would sound like this one. For want of a better word, the Abbingdon Music Research DP-777 was friendly to literally all the digitally encoded music I played through itfriendly, but not blind to its endearing idiosyncrasies. 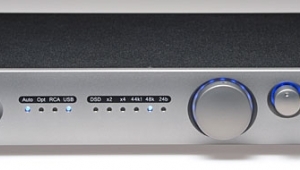 And while my budget doesn't allow for a $4995 digital source component, I think the AMR is reasonably priced, given both the (apparently unique) engineering on tap and what I heard. For me, the AMR DP-777 was more than a pleasant distraction, more than just an escape from the humdrum; it provided some of the very best digital sound I've heard. Strongly recommended. Footnote 1: See Richard Lehnert's "Bruckner's Symphony No.9: Finally, a Finale?" 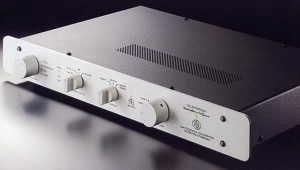 in the March 2010 Stereophile, Vol.33 No.3. Here we go again; a DAC that leaves the reviewer gushing with praise juxtaposed with a so-so bench report from JA. Sometimes I see the dichotomy and suspect the reviewer is the culprit and sometimes I suspect the measurements simply fail to measure what is truly important. When it comes to listening impressions, I have faith in Art. 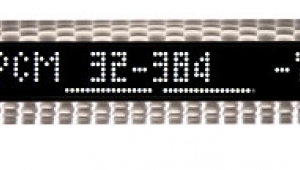 It is obvious from the description of the design that some very solid engineering went into this product coupled with much attention to the all-important analogue output stage. 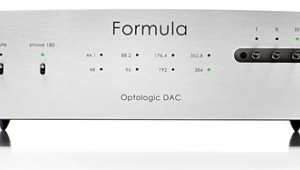 The "problem" with reconciling listening impressions with measurements of DACs is that JA can't really measure the effectiveness/quality of the output stage. 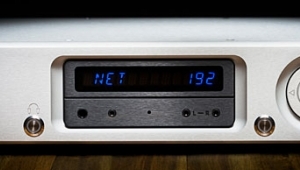 Put differently, a DAC can have the very best chips and good power supply regulation and measure just dandy and yet still leave the listener on edge. I am not in the biz and I am not an engineer. 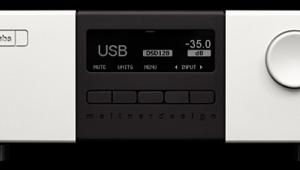 But that said, I (think I) know that with high-end DACs, you just have to listen. I would love to hear what folks who either own this DAC or who have auditioned this DAC think. The gear Dudley praises almost never tests well. I enjoy his writing, but I read his reviews with a very skeptical eye. Some of the other reviewers seem to more frequently align with the measurements. That is just not true. He measures pre-amps all the time. It is basicly the same thing. 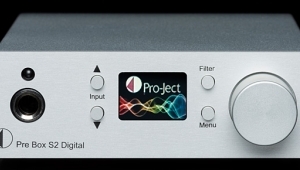 Can JA comment on differences between the DP-777 and the NAD M51? 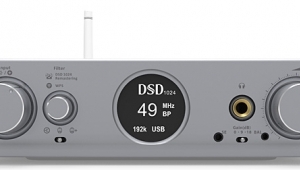 Both DACs are new and offer new technology to produce "analogue-like" sound, from what I gather. Is the DP-777 that much better for 2.5X the price? 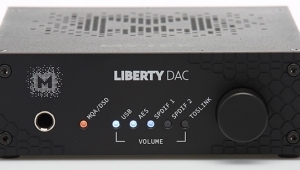 I've had two of these DAC's and both has issues in different ways. The SE upgrade keeps getting pushed out...I've been finding it hard to have faith in what their distributor says. The units do sound good after a very long burn-in. JSCH123 purchased his DP used on A-gon. I have an email from him extolling the sound of the machine. Subsequently he sent me another email telling me he rolled his tubes and it wasn't working. He had no warranty when he purchased used and tube-rolling also voids the warranty but Avatar agreed that we would repair it for a customary and reasonable fee. He agreed and sent it to us. Then he purchased a second used DP-777 (not from us) which was broken when he received it, that he wanted fixed at a discount and then for free. If it was broken when he received it, he should have sent it back to the seller instead of leaving negative feedback for us. We offered him the opportunity to upgrade from a repair to the SE version since his machine was here but advised him that AMR was still finalizing the upgrade and their might be a wait. At no time did we mislead him on a concrete timeframe. He elected to wait rather than pay for a standard repair. He sent emails to the manufacturer demanding free repairs or he'd leave negative posts about AMR, iFi, and Avatar Acoustics. As a gesture of goodwill, I sent him an iFi iDAC to use in the interim while he waited. He then logged on to Amazon and left negative feedback on a product that worked fine that he received for free. I've tried to work with this individual but I am not repairing a machine he damaged for free when I have to pay for the boards myself. Nor will I be bullied into it because he posts negative, half truths.